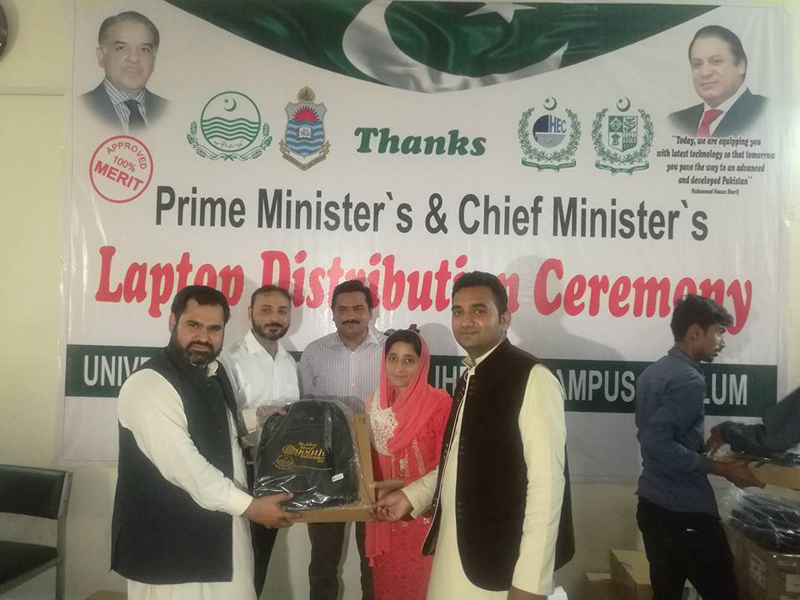 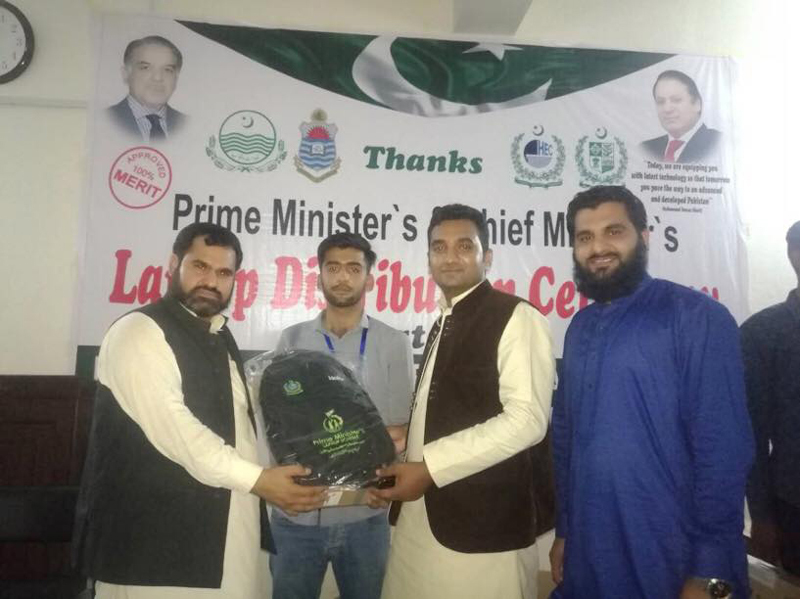 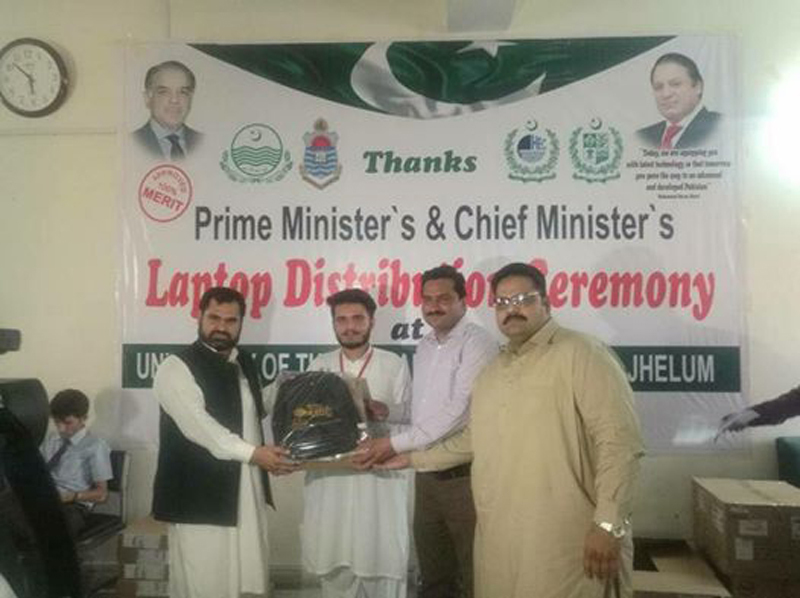 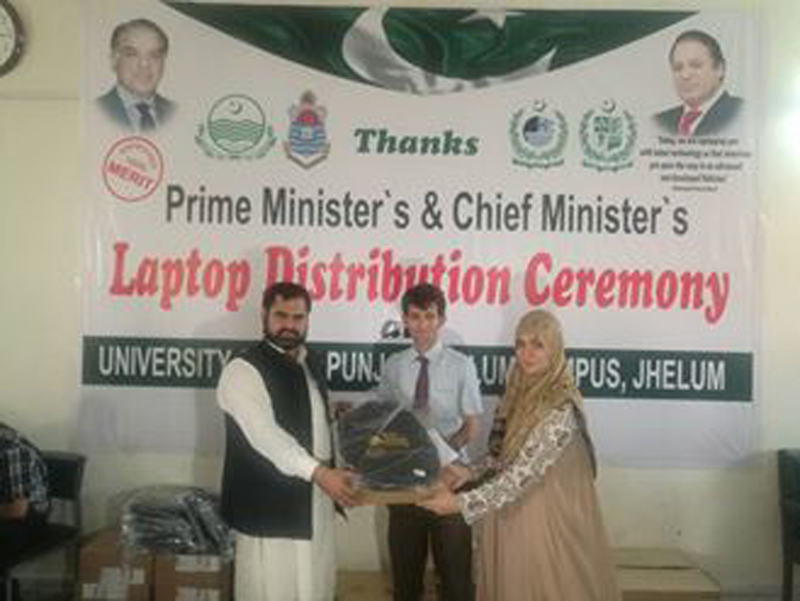 Jhelum: (Thursday May 25, 2017): Prime Minister's and Chief Minister's Laptop Distribution Ceremony held at University of the Punjab Jhelum Campus, Jhelum (PUJC). 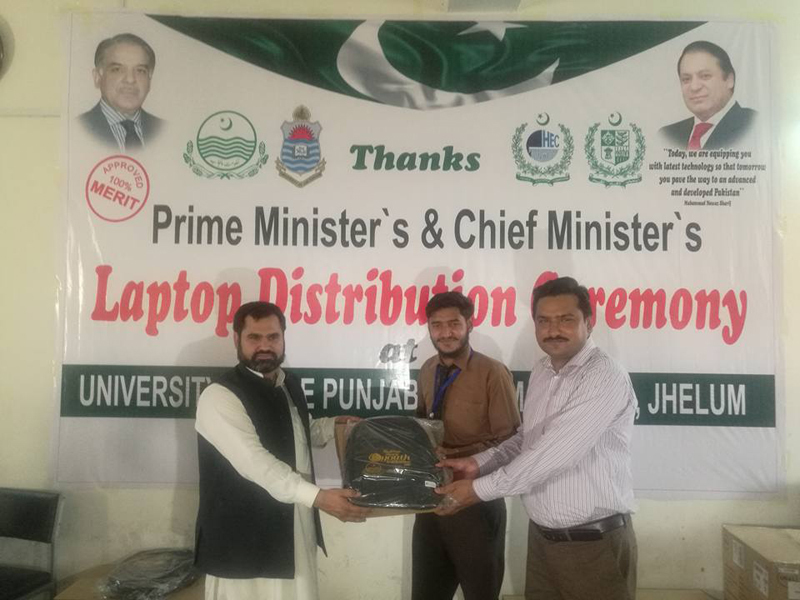 All the credit goes to Honorable Administrator Dr. Muhammad Mudasar Ghafoor because of his heartily efforts laptops arrived at door steps for the students of Jhelum Campus. 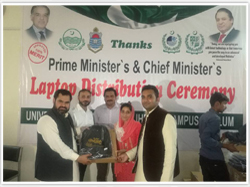 Dr. Mudasar express his gratitude to Prime Minister Mian Muhammad Nawaz Sharif and Chief Minister Shahbaz Sharif for taking such valuable steps for uplifting quality education. Dr. Mudasar express his special gratitude to the Worthy Vice Chancellor Dr. Zafar Mueen Nasir PU Lahore and Respectable Registrar Dr. Muhammad Khalid Khan, due to their support Laptop distribution ceremony had been organized at PUJC. 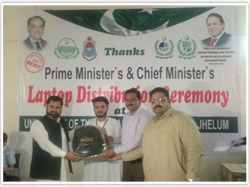 He also acknowledged the efforts of Mr. Shahid Sharif Assistant Registrar, Mr. Wazir #Khan, Senior Transport Officer and Mr. Haider Khan, Program Coordinator without them this ceremony couldn't be possible. 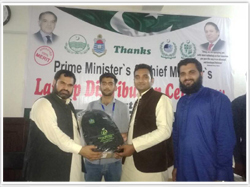 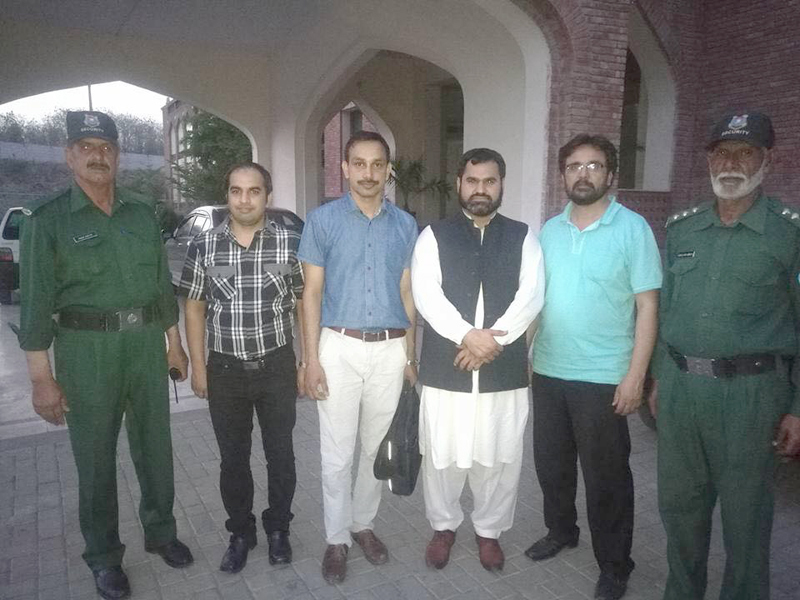 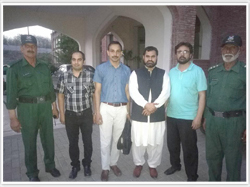 He also appreciated the efforts of all faculty members especially Fraz Ashraf Khan Dr. Ghulam Mustafa, Syed Zagham Abbas, Tabassum Riaz, Haroon Iqbal, Mubashar Mughal, Kamran Shaukat, Kashif Imran Zaidi, Adeel Nasir, Yasir Kayani, Nakhshab Hussain, Nadeem Muhammad Rana, Amad Nadeem and staff members Qaiser Shahzad Irfan Mehmood Imran Saeed Awan, Naveed Saleem Nadeem Ishtiaq Shafqat Mehmood and security staff as well.